The Chinese Communist Party (CCP) and the Chinese state are two distinct although intertwined entities, with different types of power. For example, the Politburo (a high level party organ) may develop broad guidelines for the economy, and the job of the People’s Bank of China (a state organ) is to convert those guidelines into monetary policy. However, for more sensitive matters, the CCP can work without the state. Before the 13th National People’s Congress in March, corruption within the party was deemed highly sensitive, and therefore was left with the party to deal with. At the core of the party’s anti-corruption system was the Central Commission for Discipline Inspection (CCDI). As a party organ, the agency held a number of capabilities, including arrest, detention, and interrogation of party members. Under the interrogation component, the CCDI could, and would, use extrajudicial methods for interrogating party members. This is known as shuanggui 双规 or double rules. It meant that in practice the CCDI could, and would, use extrajudicial methods for interrogating party members. In practice, the CCDI could effectively torture party officials suspected of graft until a confession was made, and do so without the need for legal authority or accountability. The CCDI would both choose who to investigate and how to deal with those suspects, without deferring to the state. That system has now changed. Along with a host of other reforms introduced at the congress, it was announced that the CCDI would be merged with a new agency named the National Supervision Commission (NSC). This was an odd move for President Xi Jinping. The NSC has been created explicitly as an organ of the Chinese state, not of the party. 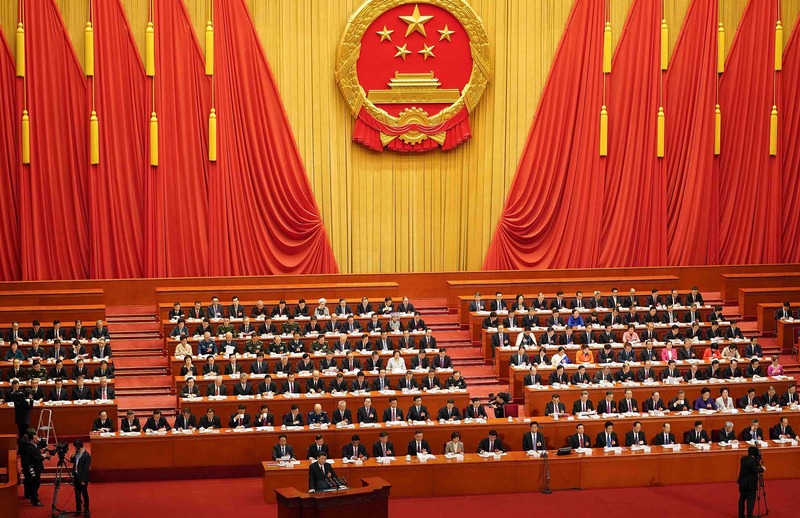 Xi seems to have given the state a right to act in a domain normally reserved for the party. Did Xi take power from the party and give it back to the state? It certainly seems that way. For example, under the new anti-corruption system, the right to use shuanggui has been given to NSC. What were once extrajudicial methods of interrogation will now be state-sanctioned practice. The Chinese state will have the legitimate right to torture suspects in order to extract a confession in high-profile corruption cases. Why create the NSC and take power away from the party? In short, Xi needed to fix the CCDI so it better prosecuted his goals for the anti-corruption purge. The old anti-corruption system was ineffective at prosecuting genuine corruption, as it gave local party cadres too much power. To reduce the influence of local party cadres, Xi needed to empower the state and allow it to help in prosecuting investigations. Furthermore, the CCDI couldn’t broaden the scope of the anti-corruption purge to include non-party members. To do that, a state corruption agency is necessary. From this perspective, Xi has taken a significant risk with these new reforms of the anti-corruption system. Under the NSC, the state could end up having significant power in matters of profound importance to the party. However, the fall of the Soviet Union shows that giving the state too much power can ultimately lead to the downfall of the party – a fact that would certainly not have escaped Xi and other political elites. For a country as large as China, losing control over the state can never be ruled out as a possibility, even for someone as powerful as Xi. Given the risk, Xi’s move is further evidence that his anti-corruption campaign is far beyond a popularity gimmick as many assumed when he took power. Xi is determined that his anti-corruption campaign will extend into every aspect of Chinese society.